I'm 100% sure I read somewhere that loot in D3 will be individual, i.e. everyone will see loot falling from the mob but for each person it will be just his own loot, not someone else. 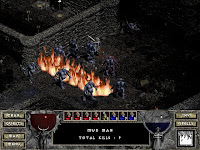 As for battle.net hacks and all that crap, I always thought D2 was a good enough stand-alone game to be worth playing as-is, without the need for battle.net. I hope D3 will be the same. Sure it will be nice to play with a couple of friends on battle.net from time to time, but I'm not going to freak out over hackers and cheaters on battle.net - I just stay away. Surely you have better things to spend your money on then another mmorpg subscription? If blizzard tag D3 with monthly prices I believe the fanbase will take a huge shock, and they will lose much respect.. D1 & D2 had no fee, so why D3? WoW must be grossing insane revenue, I doubt they need another money sink right now.. Diablo is.. DIABLO :D and it better be free to play.. I doubt people wouldn't play because of a small fee. Say they make it 5.99 $ per month instead of a full scale mmorpg fee. So they can add GM support and active hack prevention. I think the game would benefit a lot in terms of quality. While Druids in D2 were comparatively weaker than the other classes they were still fun, and one or two builds were more than viable. Most of the fun Necromancer builds were weak, but still fun. There were also viable choices if you wanted a functional high-end Necro. Assassins sucked badly? My friend, you apparently never played an Assassin the right way then. Granted there were only two strong builds, but it was a very fun class and able to hold her own. A lot of classes just didn't cater to a lot of people, but there were plenty of players that loved the classes that you think sucked. I was an avid Assassin fan. Trap, claws, whatever - good times. I WOULD mind paying a monthly fee, even if it meant GM assistance and a stronger hack prevention team. The whole point of the game style is that even the most casual of people can play. 10 minutes here, 30 there, an hour later. No, just... no fee. The big assumption/rumor is that D3 will have what-you-see-you-get loot style, like Mythos. I liked corpse running, it added a bit of an edge to the gameplay. I'd rather have a fun small timesink ("oh sh*t oh sh*t, dodge, run run!") than some sort of dull moneysink (repair) or timesink (death penalty). Again. No. You'd ruin the idea of the franchise if you went pay-to-play/subscription. Don't like the 12 year olds? Don't play with them... Like you said, get friends, make friends, join guilds. And I for one would only buy the game if it had a fee IF the single player mode didn't require a subscription. They might as well rename the game to. 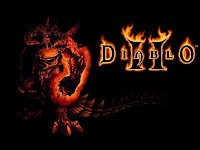 "world of warcraft : Diablo 3 mod"
Seriously this is like a gateway drug to WoW and NO ONE can say otherwise. Proof? WoW creators working on the game...original D1/D2 crew? Not hired because how would that be smart? Also hacking is common on WoW servers more hack then you could imagine its just silent. I ran a bot for 4 years and not a single ban. Since I loved to raid but had to work he earned me cash for it. In the end I had 900,000g or so and split it between 20 friends.